So, I may have just found my new most favourite snack thanks to the Heat & Eat range from Fairfield Farm Crisps. I am a BIG fan of crisps, if I could eat family share bags every day to myself without putting on weight then I 100% would. I have very little self-control over not eating every crisp insight and I think that I’m going to struggle to not open the other bags of Heat & Eat in my cupboard! I’m also a tiny bit biased towards Fairfield Farm Crisps as they’re made in Essex and we all know what an advocate for Essex I am! On the farm. they cold store, wash, grade and bag twelve different potato varieties which are then supplied to wholesalers and retailers across the UK. THey then also grow their own special varieties of crisping potatoes which are hand cooked on the farm to the highest possible standards which is why I’m a little bit addicted to them! 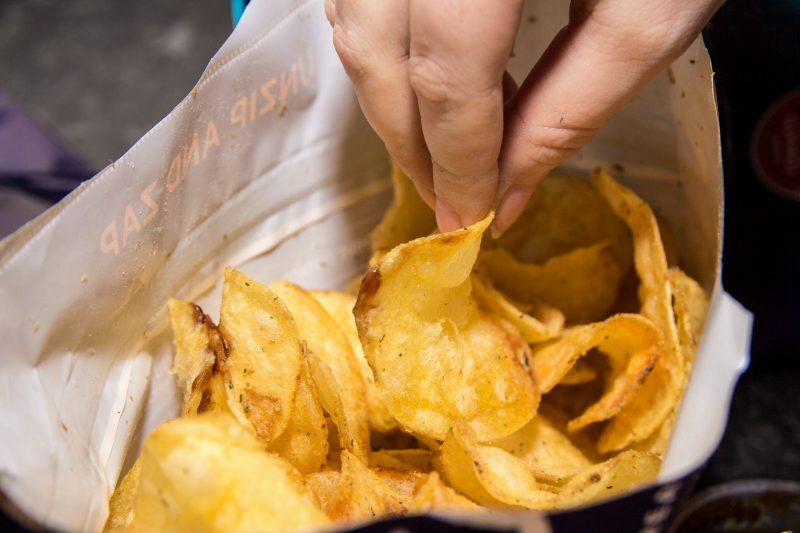 In 2016 they were voted East of England Co-operative’s best producer supplier and scooped more great taste awards than any other crisp maker in Great Britain. 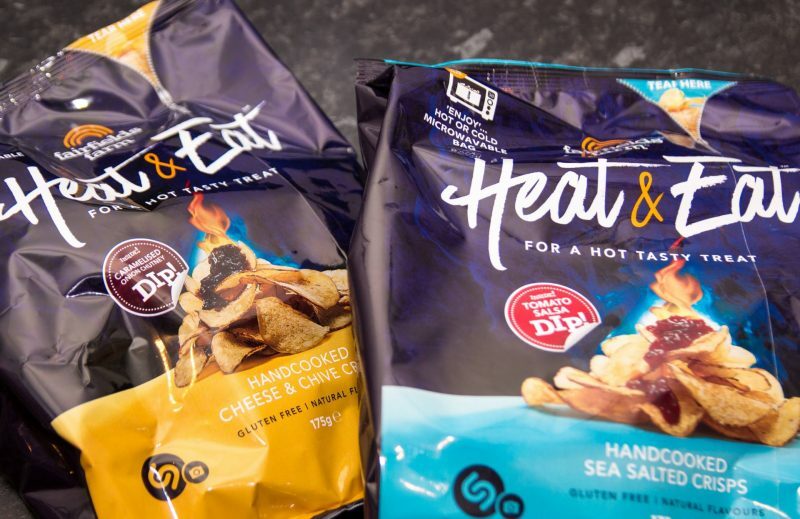 So, the Heat & Eat range that has won me over were launched to the market mid-September 2017 and they are the first ever microwavable bag of crisps with a dip. Sounds crazy right, but stick with me on this! They are available in two flavours; a Sea Salted with Tomato Salsa Dip and Cheese & Chive with Caramelised Onion Dip. 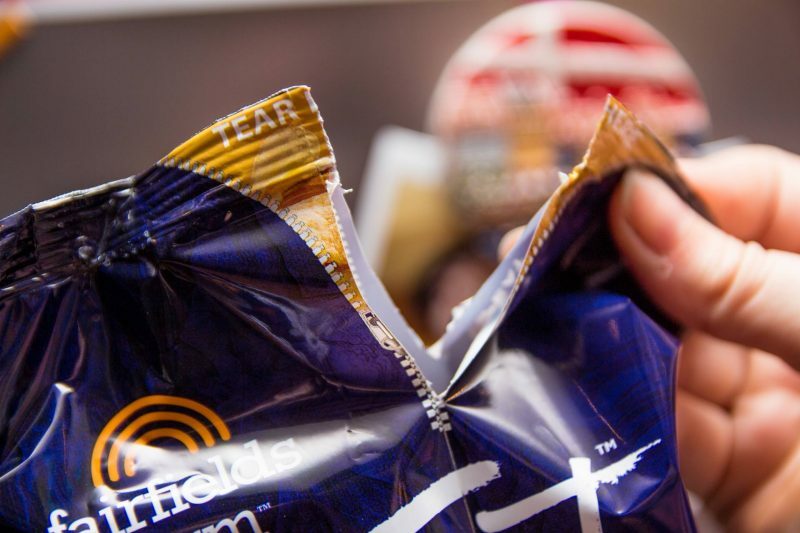 Unzip the bag and remove the dip that’s included in the packet. Then dip and eat. Simple. 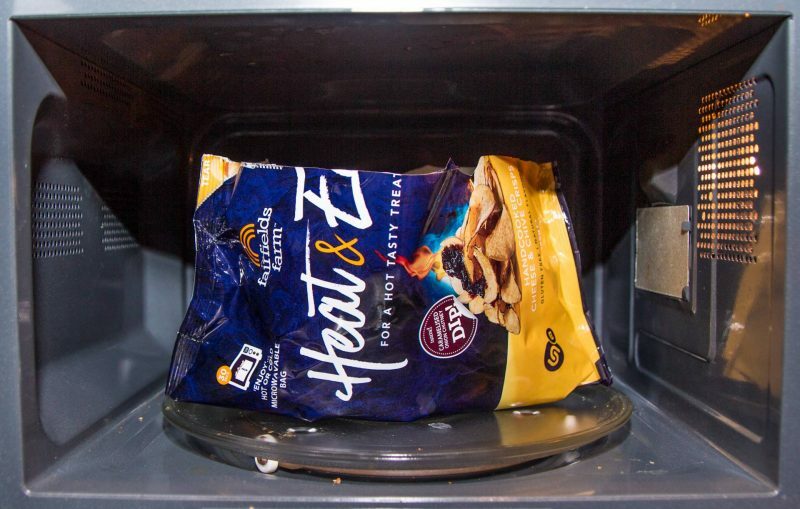 With you popping them in the microwave it makes them freshly cooked to taste, unlike any other crisp on the market. I was a little worried when I microwaved my first bag that they would go a little flimsy and lose their crispness, but they have been designed uniquely to be microwaveable whilst retaining their crunch and I can 100% back that. They are amazing, even Mike had to restrain himself to stop dipping and he’s not really a crisp man! With the crisps being hand cooked on the farm using renewable energy they’re pretty decent for the environment too! 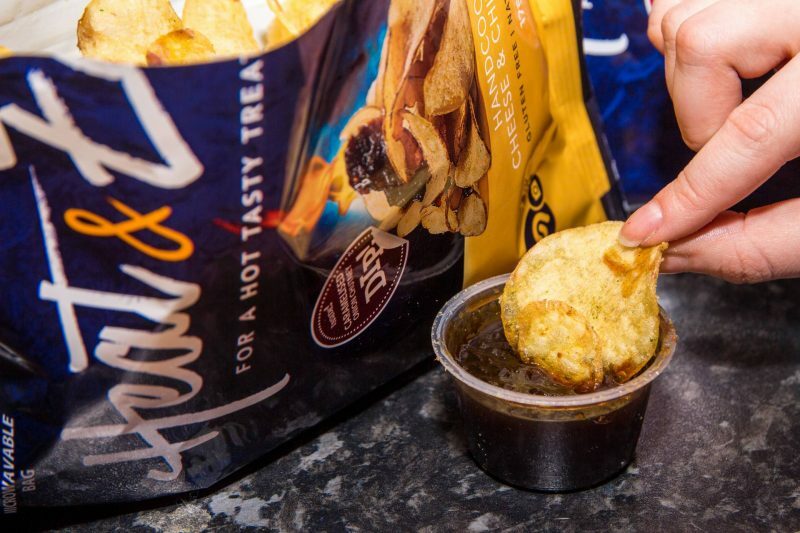 Another upside is that they’re gluten free too so they cater to market that a lot of crisps tend to forget about making them an even better choice. 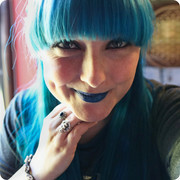 I love supporting smaller businesses especially local ones that are doing their bit to help the environment! I can’t recommend them enough; they taste great, are super easy to rustle up and their bag, once torn open, becomes their serving bowl so no washing up for you after! Double win when you’re entertaining and want something a little different to serve up. I think these are going to become our little treat when we sit and the football of a weekend or when we pop on a film. Heat & Eat™ are available in a wide selection of Tesco Stores across the UK to find your nearest stockist visit their site. They are also available from selected East Of England Coop Stores. "Things That Should Have Stayed in 2017"
"Quick and Simple Ways to Find a Job in London *"